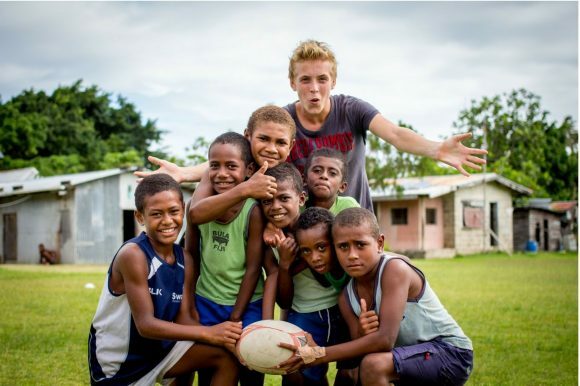 Rugby is so much more than a sport in Fiji – it is a way of life! Ensure rugby is at the heart of your volunteer project or gap year as you help us to coach children with an immense passion for the sport. You’ll be inspired by the children’s attitude and passion to learn, play or even just talk about rugby. 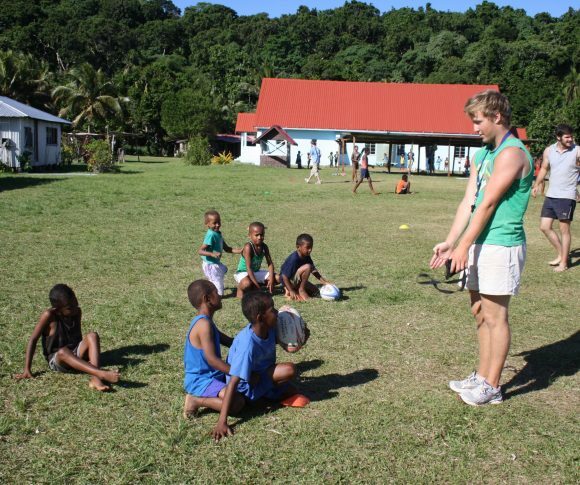 Lead daily coaching and be involved in the organisation of rugby tournaments or inter-school competitions and ‘rugby outreaches’ as we take our coaching to even more remote areas of Fiji. Take to the rugby field yourself as you spend your afternoons playing touch rugby or training with the local teams. Pick up some island flair and experience the passion, power and excitement of Fiji’s national sport. It’s hard to find a country in the world more passionate about rugby than Fiji. Coaching and playing in the islands is an experience you’ll remember forever! How Can You Support Rugby Development? Experience the Fijian flair, power and carnival atmosphere as you train and play rugby with the Fijian village teams. The spectacular scenery of Fiji’s remote jungle clearing or the idyllic outer islands are some of most incredible backdrops you will ever experience during a game of rugby. You’ll also learn some of the skills and tricks of the Fijian players as they play rugby as only the South Pacific Islanders can! The bonds our volunteers form with the Fijian players as you pull on an island shirt and take to the field is something you’ll always remember. Also, every single day can finish with touch rugby matches with the villagers. 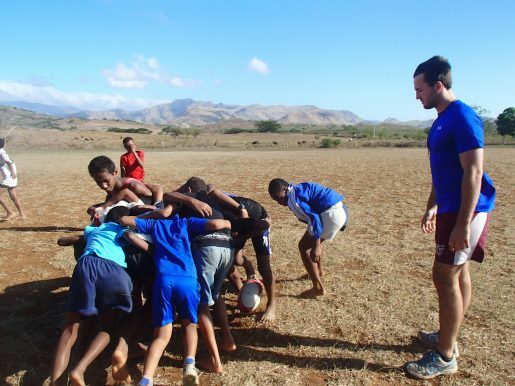 Coach daily rugby sessions for children in poor schools and remote Fijian villages as we teach basic drills and introduce new ideas. The children’s passion for the game will inspire you, they’ll happily stay behind for hours for the chance to learn from you and play in structured training practises for the first time. You don’t need any qualifications to take part, just a passion and knowledge for rugby. Despite the Fijian’s prominence on the international stage, children in remote villages often don’t know the rules of the game. Our rugby coaching projects offer children the chance to learn and develop skills for the first time. We focus our rugby programs on establishing long term strategies to develop school rugby. You may be involved in the organisation of the first inter school fixtures or coach children’s teams to glory in local tournaments. We provide rugby resources and rugby kits to hundreds of schools each year. We train teachers and local community members in basic rugby skills and practises so that they can continue the initiatives long term. We also partner the Fijian Ministry of Sport and The Fijian Rugby Union to promote the ‘Give It A Go Program’ increasing participation in rugby, especially amongst girls. 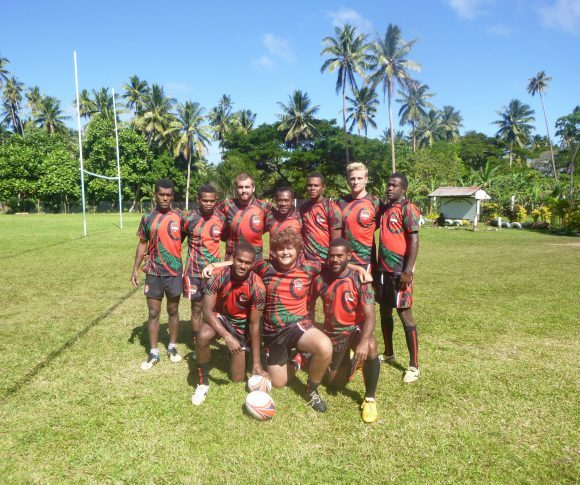 Experience the Fijian flair, power and carnival atmosphere as you train and play rugby with the Fijian village teams. The spectacular scenery of Fiji’s remote jungle clearing or the idyllic outer islands is some of most incredible backdrop you will ever experience a game of rugby. You’ll also learn some of the skills and tricks of the Fijian players as they play rugby as only the South Pacific Islanders can! The bonds our volunteers form with the Fijian players as you pull on an island shirt and take to the field is something you’ll always remember. Every single day can finish with touch rugby matches with the villagers. The experience surpassed every expectation I had. It was a privilege to work with the kids, their passion for rugby is beyond words. Their genuine excitement at seeing us arrive to help on the sports field was incredible alone. 'In Fiji rugby is more than a sport...it's a way of life"
Rugby in Fiji is like a religion. Start a conversation about rugby and the entire village, from young children to little old ladies will have their view! It’s a national obsession. Our rugby volunteers and players are in their element experiencing a country so besotted with the game. Work with children living in poverty and hardship, where rugby is their biggest passion in life. We use rugby as a tool to motivate children, improving confidence, team work, health, discipline and encouraging them to continue education at school. So much more than a rugby project, our coaching sessions are a method to develop children. Never before have you coached and trained in a location as beautiful as Fiji. 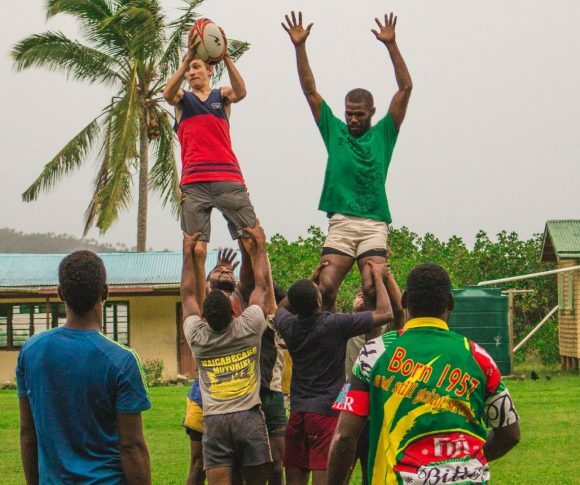 Travel to more remote schools and lead rugby practices in rural communities, where resources, knowledge and access to skills training is extremely limited but a love for rugby is like nothing you’ve ever seen. Every day you can finish your volunteering by throwing a ball around with the local villagers. Fijians will play impromptu matches each afternoon as the whole community come out to play. It’s the chance to be a legend of your Fijian village as you pitch your skills in touch rugby or experience the national obsession – Fiji sevens! You’ll see children make great progress in rugby skills and knowledge in a short space of time as they feed off your experience. Guide your team to glory in a local tournament and you’ll feel the biggest sense of pride and become a hero of your remote Fijian school! Through our ‘rugby outreaches’ we jump into trucks or outboard motor boats to coach sports in some of the hardest to reach schools. We take rugby coaching to some of the remotest schools and villages of Fiji and working with the FRU and the National Sports Commission we spot and nurture undiscovered talent. Some of the young players we’ve coached have gone from remote jungle villages to playing at the highest level in Fiji, under the wing of Fiji’s national set up. The enthusiasm and dedication of the kids will astound you and increase your passion for rugby. You’ll forever look back on your days spent coaching in the Fiji Islands as remarkable. Many of our volunteers continue to keep in touch the kids and the Fijian players long after they come back and return years later to their Fijian village. In the remote villages of Fiji children’s access to sport is stunted by a lack of equipment, knowledge and structure. Children play rugby with everything from a coconut to an old coke bottle wrapped in cloth and kids will trek across the island to be involved in our sessions. We use rugby as a tool to engage children in education and foster messages of team work and health as part of a bigger government program of holistic development. Many children will attend school just to take part in our rugby session. Creating the first rugby teams gives children a chance to be part of something special and motivates them to succeed. In a country where rugby is king, surprisingly the children don’t understand basic rules of 15’s, although they’ll play 7’s and touch rugby for hours a day. We introduce warm ups, ball handling, line-outs, scrums and positioning. You’ll coach the next generation of young Fijian players and they’ll inspire you with their dedication and enthusiasm and natural flair! 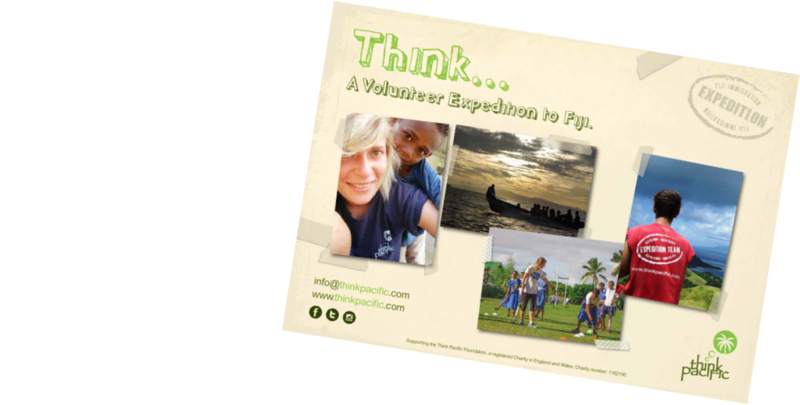 Does coaching rugby in Fiji sound like the perfect volunteer project for you?